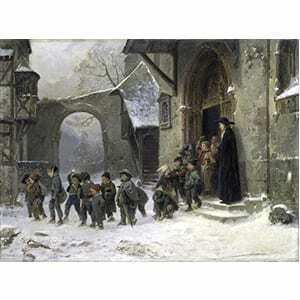 This popular painting by Benjamin Vautier (1829-1898) shows a group of boys leaving school amidst a snowy scene, with a Brother at the door watching them with benign amusement. Links are below. Painting A – At the Victoria and Albert Museum (London) – Downloadable with conditions. Painting B – Professionally copied versions available for purchase. This is a popular painting from the Victorian era, depicting children leaving school within a snowy scene. It was painting in the 1850’s by Benjamin Vautier, a popular Swiss painter of the time. 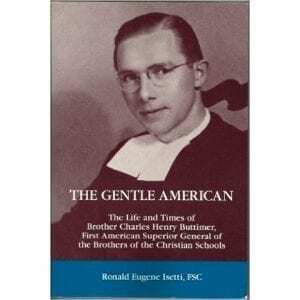 There is a Brother of the Christian Schools clearly depicted at the doorway, with his wide-brimmed hat and rabat collar in front. The students are a wonderful mix of characters, as seen from their poses, facial expressions, and gestures. You could make up stories and backgrounds around any one of them, simply by looking at the painting. There are three versions of this scene that I’m aware of. The one shown here is from the Victoria and Albert Museum in London, and may be seen on their website. There is a different version of the painting, with a different background, that is available for being printed professionally at this website. There is also a black-and-white print of the same scene, most likely done by Vautier, that is found on the internet. Small images of all three are linking in the short description above. 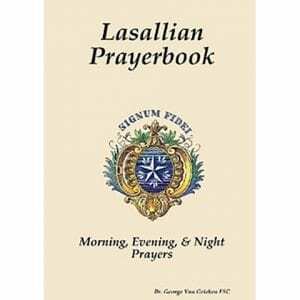 This is a collection of morning, evening, and night prayer services, following Lasallian themes, arranged into a four-week cycle. 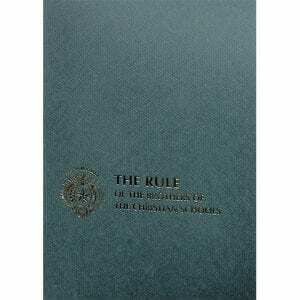 Musical options and a variety of readings are included. 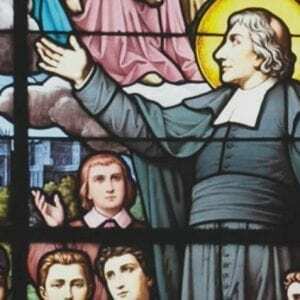 These stained glass windows of John Baptist de La Salle, originally created in 1900, were moved to the chapel at Manhattan College in 2016. The windows guide viewers as they move through the Chapel to visualize moments in the Saint’s life — from his childhood in Reims, to the vow he took with his Brothers, to his death in Rouen and his glorification in heaven, where he is welcomed by Christ and acknowledged as a great teacher by Saint Ignatius Loyola. Below in the tab “WINDOWS” are large files that show each of the windows in detail. 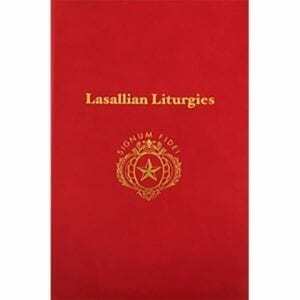 Official directories and guides for various areas of responsibility in the governance of the Institute. 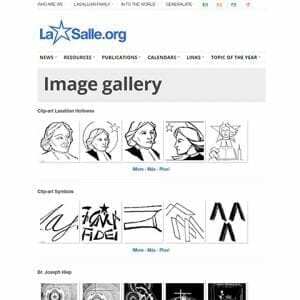 An online repository for Lasallian drawings, paintings, and iconography. 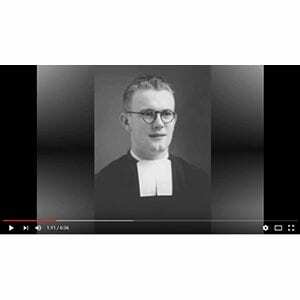 A short video biography of a De La Salle Christian Brother who spent most of his life in the Philippines.